Today, the Amazon is offering up to a 30 percent of discount on a large screen TVs. 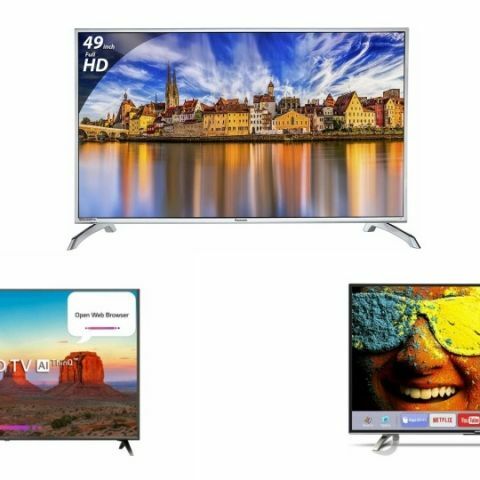 We have handpicked some of the best deals available on brands like Sony, LG, TCL and more. If you are on the ookout for a new TV, then you've come to the right place. In this list, we have covered a wide range of products such as Smart TVs, Full HD TVs and more, all of which offer a panel size of 40-inches or more. The products in this list are from well-known brands like Sony, LG, TCL and more. The TCL 4K UHD LED Smart TV offers a resolution of 3840 x 2160 pixels with a panel size of 55-inches. The device is powered by the Android 5.1. It also allows you to use your smartphone or tablet as a remote to control the TV. The TCL 4K TV is available with a 25 percent discount on Amazon today. Click here to buy. The LG 4K LED Smart TV comes with an IPS 4K display with a panel size of 49-inches. The TV let users watch videos & photos on the TV with the Cloud Photo and Video app. One can also connect a wireless speaker or a Bluetooth headset with the device directly. As it is a smart TV, users can download apps like Netflix, Youtube and more. Click here to buy. The Panasonic Full HD LED TV features Dot Noise Reduction technology, which the company says can reduce picture noise to make images look clearer. It also has a media player, which lets you access multimedia content such as photos, videos, music and more. click here to buy. The TCL 4K UHD LED Smart TV comes with a panel size of 43-inches. The device offers the same features as the one which we mentioned earlier in the list. It has two HDMI ports and two USB ports to connect external devices such as game consoles, flash drives and more. Click here to buy. The Sony Full HD LED Smart TV features a 40-inch display with a resolution of 1920 x 1080 pixels. It comes with a screen mirroring feature, which allows users to watch the content of their smartphone on a bigger screen. It also has a built-in subwoofer with Dolby Digital Plus audio. Click here to buy. The Sanyo Full HD Smart LED TV offers a resolution of 1920 x 1080 pixels with a panel size of 43-inches. The TV comes with a built-in WiFi that you can connect to your home network and download apps like Netflix, Youtube and more. Click here to buy.